Yanga National Park was opened to the public in 2009 after being purchased by the NSW government in 2005 on a “walk in – walk out’ basis at a cost of $30 million. Some of that expenditure has been recouped by selling off those parts of the original property that were unsuitable for inclusion in a national park. Yanga Lake, along with a vast frontage to the mighty Murrumbidgee River made this area now known as Yanga National Park a valuable pastoral property but it was also vitally important to the local indigenous population. Excerpt from information in the cook’s cottage at Yanga homestead. Yanga Lake: when full Yanga Lake is 1,246 hectares in area, has a maximum depth of 5 m and is 24 km around the perimeter. It consists of two connected sub-basins forming what was referred to in the 19th century as a ‘spectacle’ lake. Current scientific information suggests that it formed around 128,000 years ago. The regular filling and draining of the lake, stimulating plant growth and attracting animals and birds, in addition to the abundance of fish, turtles and yabbies in its waters, would have made Yanga lake an ‘oasis’ for Aboriginal people for 40,000 years. The lake became a reserve ‘ for the preservation of game’ in 1909 and was notified as ‘sanctuary for birds and animals’ in 1922. It was an important recreational area for the local population around Balranald as well as providing a living for a number of fishermen who held licences to fish the lake. Infrastructure remaining from the days of the pastoralists is the most obvious history on the property. The evidence of occupation by the original inhabitants exists but certainly doesn’t have the visual impact that European settlers inflicted upon the country. However, many aboriginals were employed at Yanga and so they are also part of the pastoral history. William Wentworth became a major landholder in the Balranald district from the mid – 1840s to the early 1850s – during that brief period he occupied almost all of the land in the present Yanga National Park. Agents or ‘run-hunters’ took up land on his behalf and superintendents managed his stations. 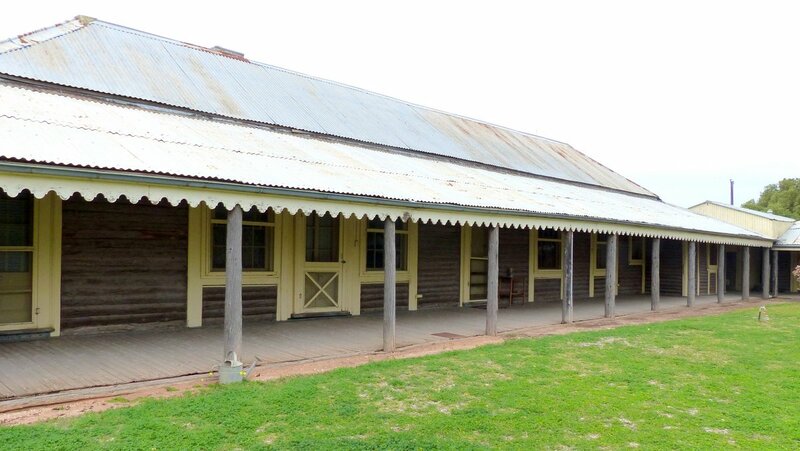 By the 1850s a series of runs had been converted to a leasehold of nearly 300,000 acres – Yanga Station had more than 150 km of Murrumbidgee river frontage as well as the benefits of Yanga Lake. Yanga Lake fills when there is a sustained flooding of the Murrumbidgee River – in 1913 a control weir was constructed to retain water after flooding. Yanga homestead overlooks the lake; such is the position of the homestead it is possible to watch the sun rise and set over the water. 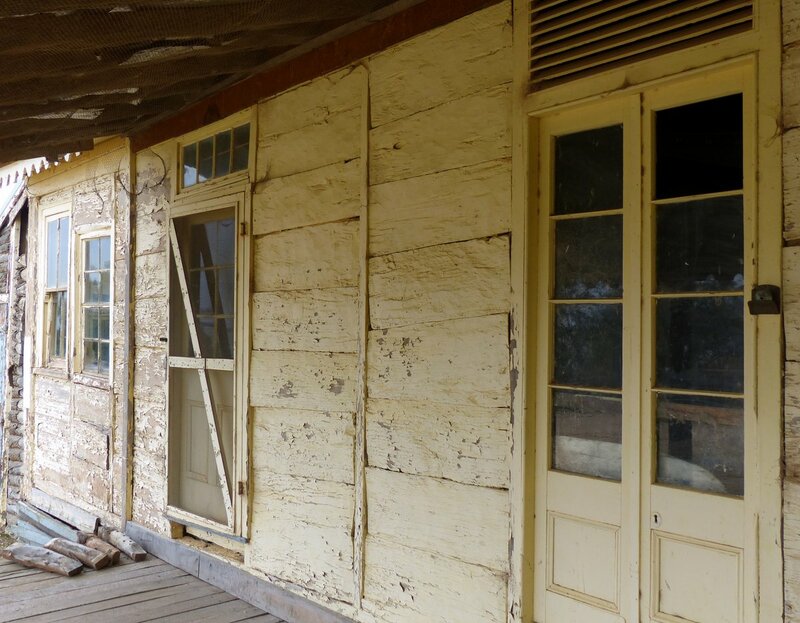 Original section of Yanga homestead constructed from slabs of Red Gum. Yanga homestead – dropped log construction using Cypress pine logs. A major local community asset since the establishment of Balranald, the lake has been used for swimming, camping, wildlife-watching, wind surfing, water-skiing, canoeing and sailing. There was even a yacht club, which hosted a national inland regatta in the 1950s. Since the purchase of Yanga as a National Park a bird hide has been constructed on a peninsular not far from the homestead. It is a large, quite well-designed structure, able to accommodate many bird watchers, although at the time we visited there were not any birds visible. 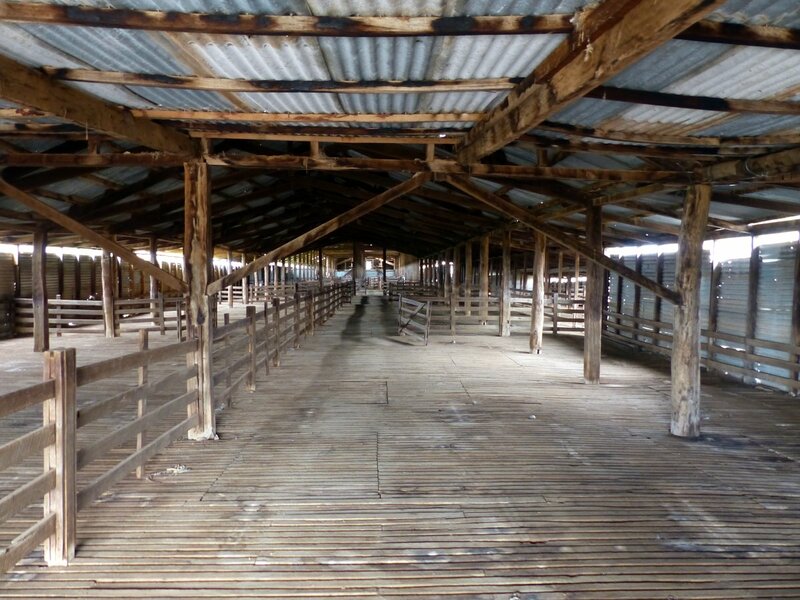 The woolshed, able to hold 3,000 sheep under cover is simply enormous. 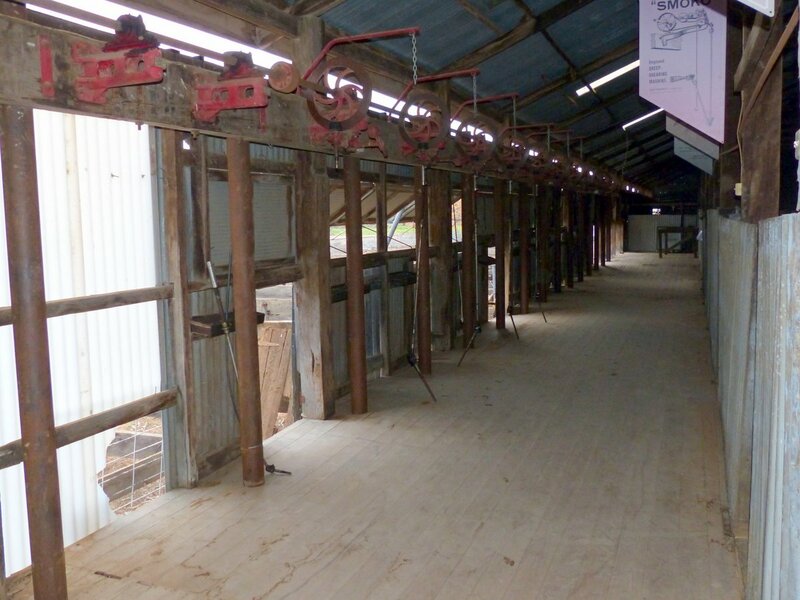 Videos of the final shearing in November 2005, along with interviews conducted with some of the employees, are available via touch screen at various locations within the shed. They give a wonderful insight into shearing operations at Yanga Station and with further information displayed they bring the history alive. The shed, being close to the banks of the Murrumbidgee, was ideally situated for the transport of the wool bales by paddle steamer. In the 1922 shearing season 75,016 adult sheep and 18,370 lambs were shorn, producing 2002 bales of wool. The shearing season involved intense activity for less than a month but at other times of the year the shed was made available for woolshed dances including the local B & S Ball (bachelor & spinsters). Apparently many people headed to Yanga Lake for ‘the recovery’ the following day. 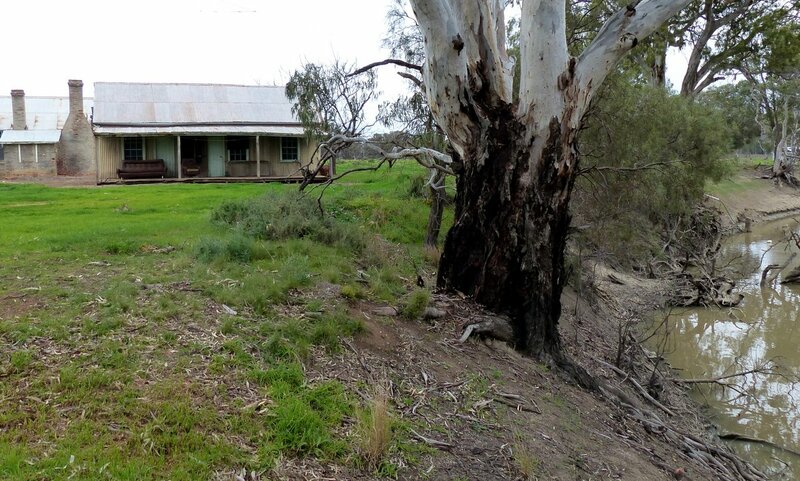 Wool classer’s cottage with a lovely river view from its verandah. The mess hut is visible behind the cottage to the left. 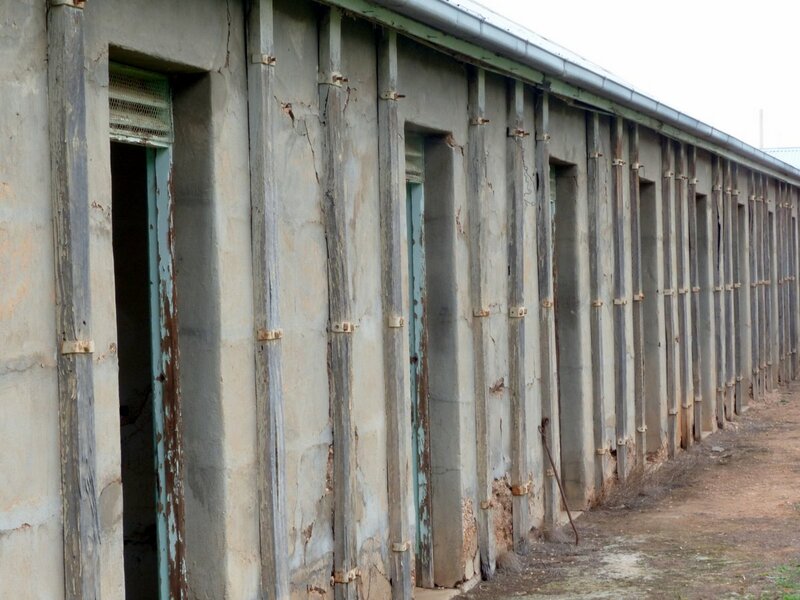 Shearer’s quarters akin to small cells, no shady verandah for the really hard workers! There was a communal wash room in a separate building. 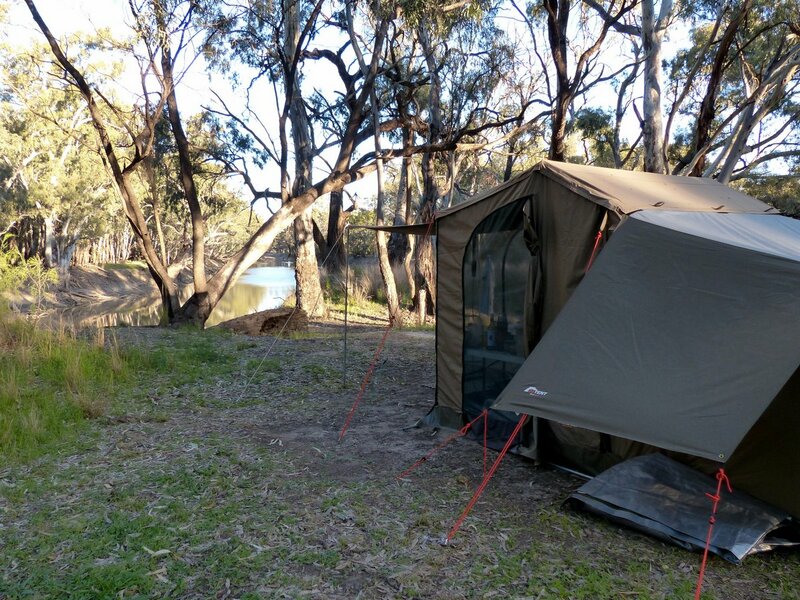 Our own accommodation,on the banks of the Murrumbidgee, looking across to Red Gum forest on the opposite bank, made a pleasant camp. Although the bird life was not prolific we did enjoy watching a Square-tailed Kite circling overhead but no photo to show. 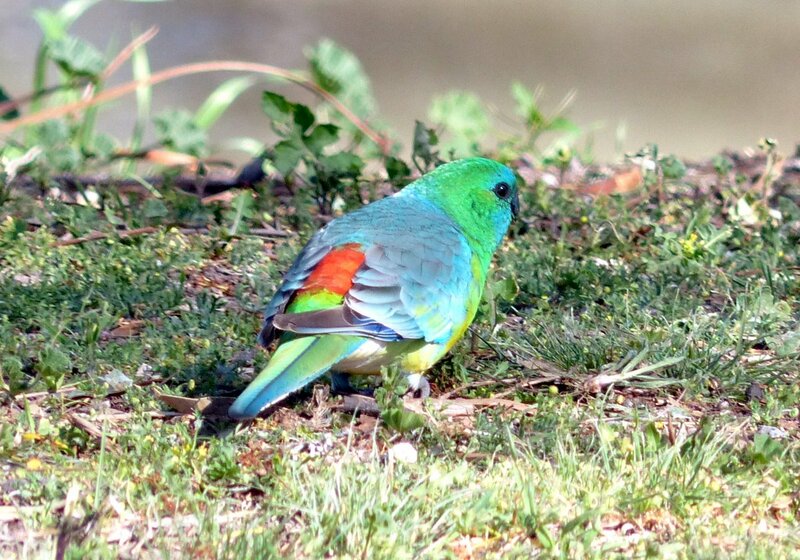 Colourful parrots were the main attraction in the camping area. 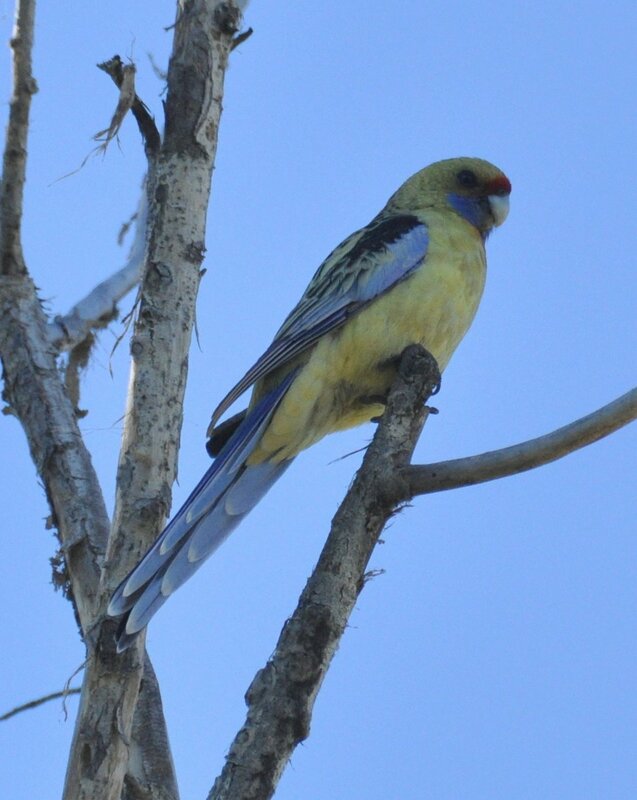 Yellow Rosella at the end of the day with the light fading. Our original itinerary did not include Yanga National Park, but after our stay at Gluepot it seemed like a good direction to travel in and we are very glad that we did. 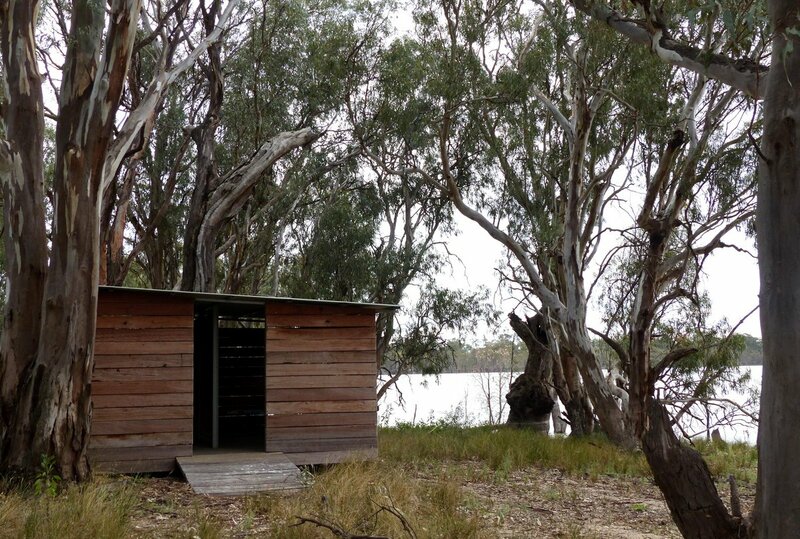 This entry was posted in Excursions and tagged Woolshed, Yanga Lake, Yanga National Park. Bookmark the permalink. sounds like an interesting place to see. Nice post about a little-known bit of Aussie history. Especially the huge woolshed and the involvement of William Wentworth (which I had never connected with the town which bears his name). Thanks Denis, we really enjoyed our few days there.